Manage and track all of your housekeeping in 1 place so that you know when & who is cleaning what. 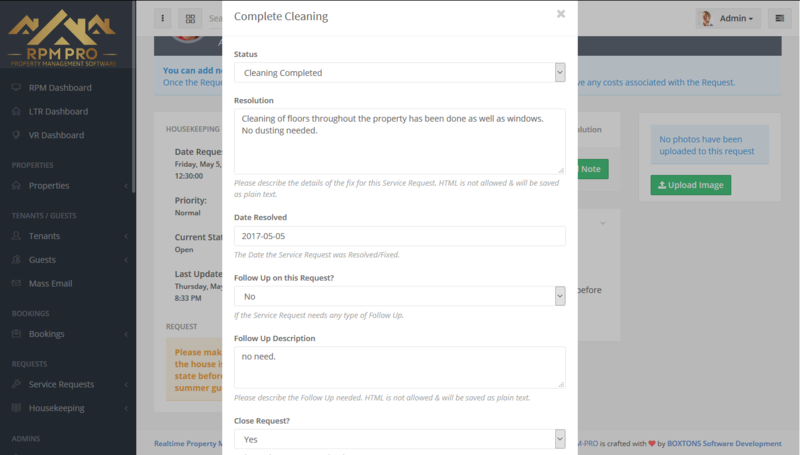 The housekeeping section is an amazing feature of RPM Pro because it allows you to connect your cleaners / cleaning companies to your software. Each cleaner (or company, your choice) will be provided with their own login account from where they can monitor all of the tasks and assignments for both long term properties and vacation rentals alike! This allows any housekeeper or housekeeping companies to keep track of what you give to them but also of all expenses involved for their own tracking purposes. 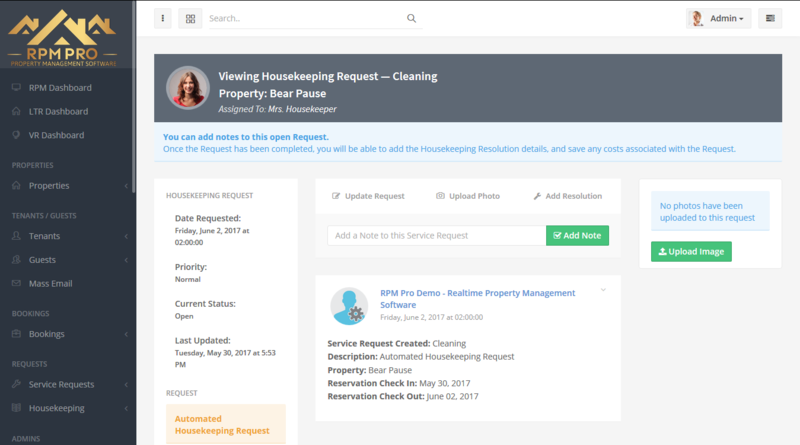 When RPM Pro was initially getting developed we discussed the time required in creating, assigning and monitoring all housekeeping requests for a property manager with 50 properties. We came to the conclusion that we could save our customers hours on a daily basis by making the housekeeping requests automatic as soon as a payment has been received for a booking. This request is sent via email to you so that you can assign a housekeeper right away. Dont worry, the system also monitors all of your housekeepers and will alert you if your selected housekeeper is busy on the time & date selected. 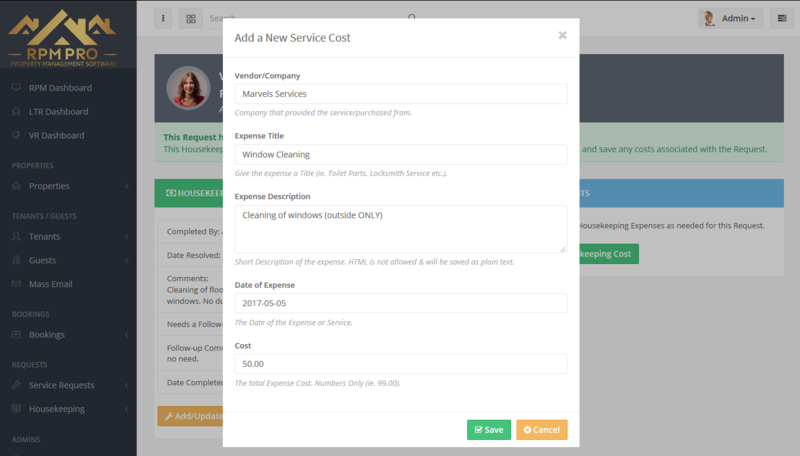 You and your housekeeper need to keep track of how much each request is costing you, with the expense tracking for housekeeping requests RPM Pro makes this possible for you in a clear overview when the housekeeping request is marked as completed. When a housekeeper completed a request they can add in costs involved, they can also add in service requests for if they have found an issue with the property that needs resolving. When a request is completed it is instantly archived so that you know that you don't have to deal with it anymore, it's simply moved to a seperate page, not deleted. This means that you can stick to focusing on your active requests and not having a list of completed ones in between. If you would need to find an old request you simply look in archived requests instead.